One thing that Everlane is great at is making timeless closet staples that are as comfortable as they are cute. The brand’s newest shoe launch is no exception. 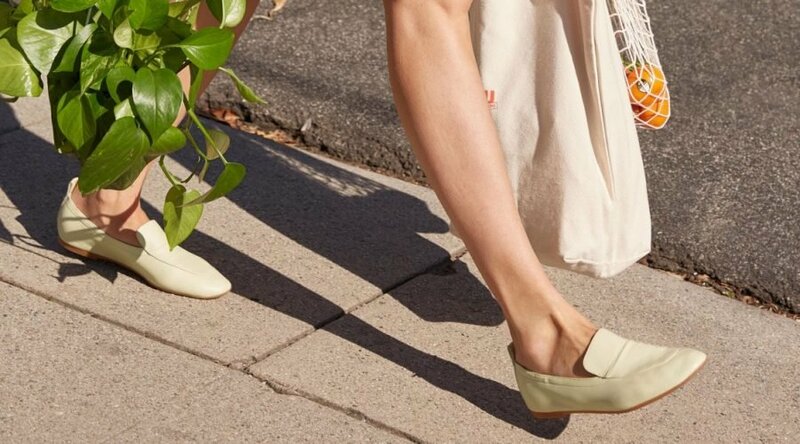 Everlane’s new Day Loafers are so chic and practical that they already have a 15,000+ waitlist. Before the shoes even hit store shelves, fashion lovers were already scrambling to make the loafers part of their wardrobe rotation. The new loafers are part of Everlane’s Day collection, which has one famous fan: Meghan Markle. Before Markle became a Duchess, she was spotted multiple times wearing Everlane’s Day Market Tote. The then-actress famously wore it during her first official outing with Prince Harry at the opening ceremony for the Invictus Games in 2017. The collection the minimalist bag is part of is called The Day Family, because you will want to wear the pieces "all damn day." Right now the line is comprised of several pieces. Markle’s iconic Market Tote is in it, as well as a smaller rectangle-shaped bag called the Magazine Tote. There are also several shoes, like the Day Boots, which are ankle booties that come in seven different shades. There is also a Day Heel, which is a round toe heel that comes in 11 colors, the Day High Heel which is a taller, almond-toe heel that comes in four shades, and the Day Glove, which is a ballet flat that comes in a whopping 13 hues. Everlane is rounding out that collection with the introduction of a new loafer. The Day Loafers have the elegance of a loafer and the ease of a slip-on. Clocking in at $155, the Day Loafer comes in sizes that range from five to 11. Made of soft Italian leather, the new shoes use classic loafer styling with a twist. Everlane upgraded the loafer concept with the addition of a cushioned insole and elasticized back for extra comfort. That way you can wear them all day long — from work to happy hour —without your feet aching. The elasticized back is especially great for shoppers who always experience blisters in new shoes. It takes out the pain of having to break a new pair in. Since the only flat shoe in the Day collection is a simple flat, these new loafers give a more elevated and sophisticated option. You can easily wear the loafers to work with a suit, or use them to jazz up a pair of denim shorts. The possibilities are endless. The loafer also comes in five different colors, letting you pick a hue that would work best with your wardrobe. While Everlane usually leans towards a muted, minimalist color palette, there are a few surprising shades to pick from if you want to add a pop of color to your spring wardrobe. The Day Loafers come in black, white, caramel, pale yellow, and dark rose. The upcoming spring season calls for dresses, shorts, and culottes, and these shoes will be the perfect accessory for all those outfits. Slip them on and wear them "all damn day."